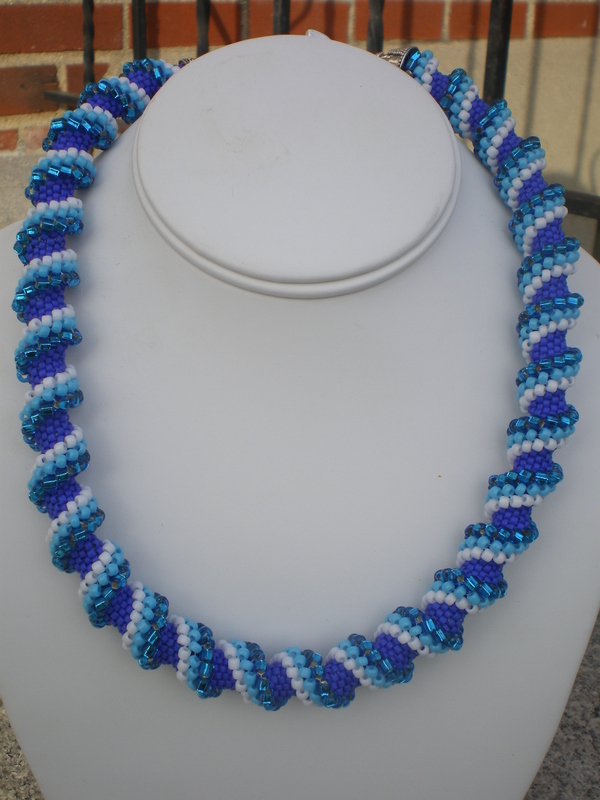 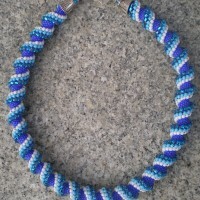 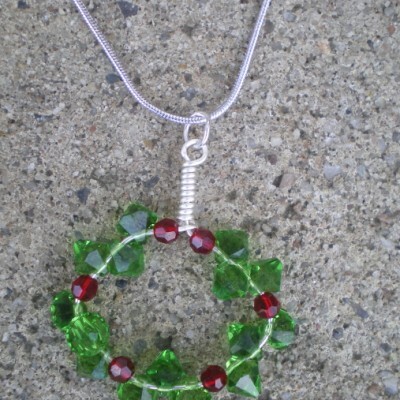 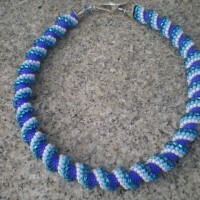 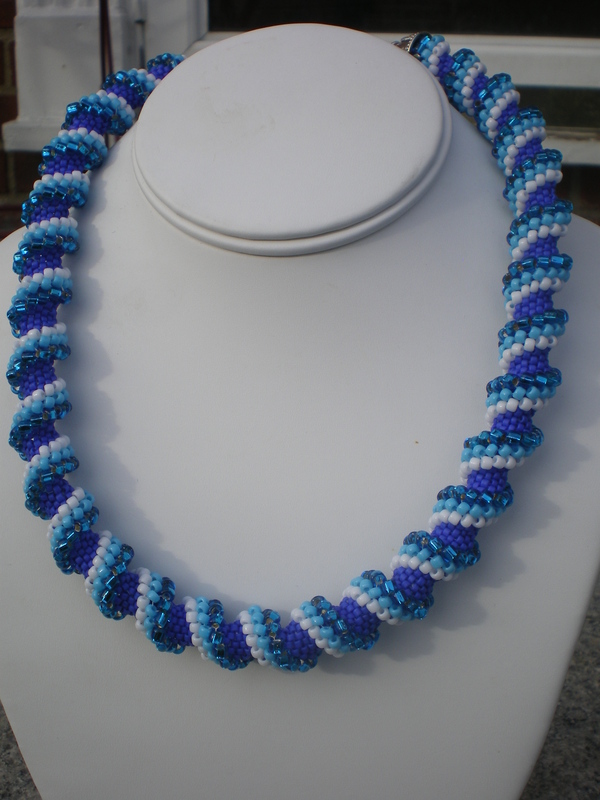 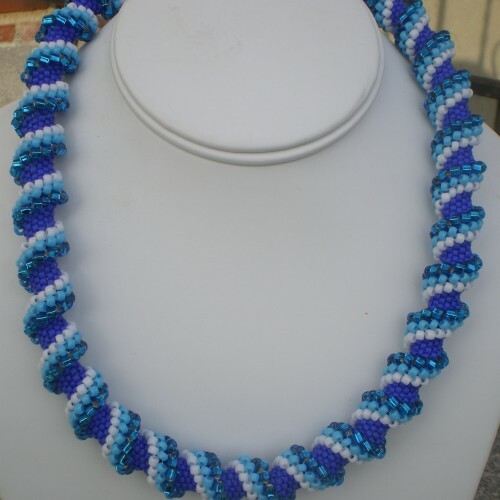 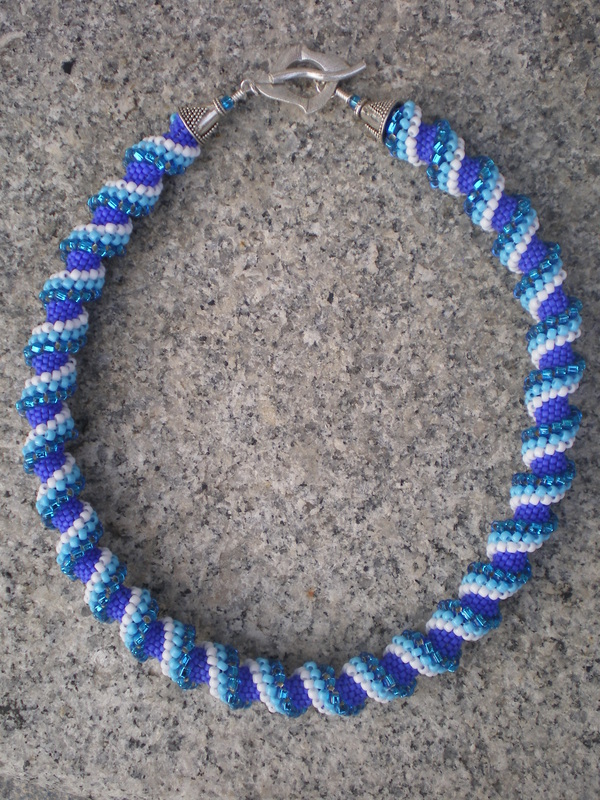 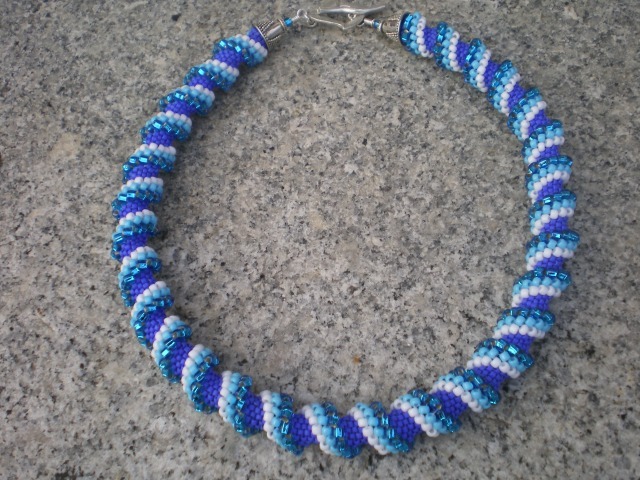 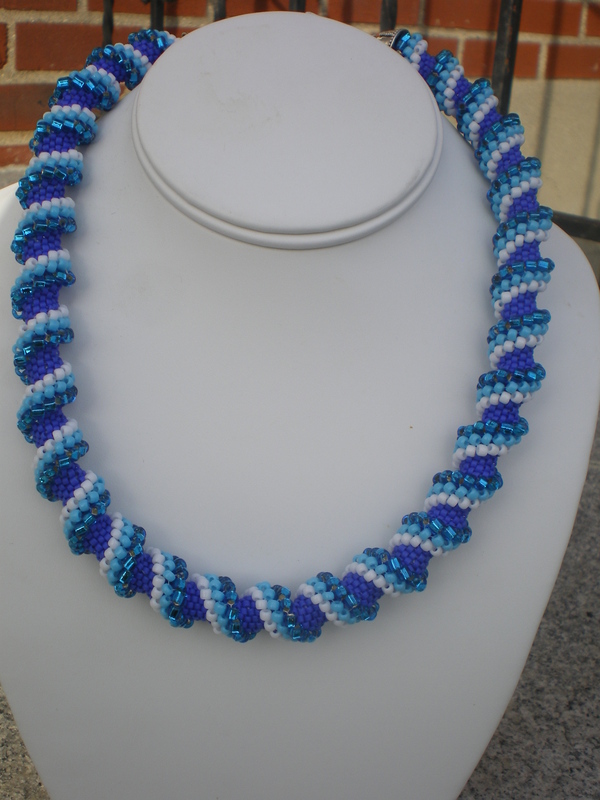 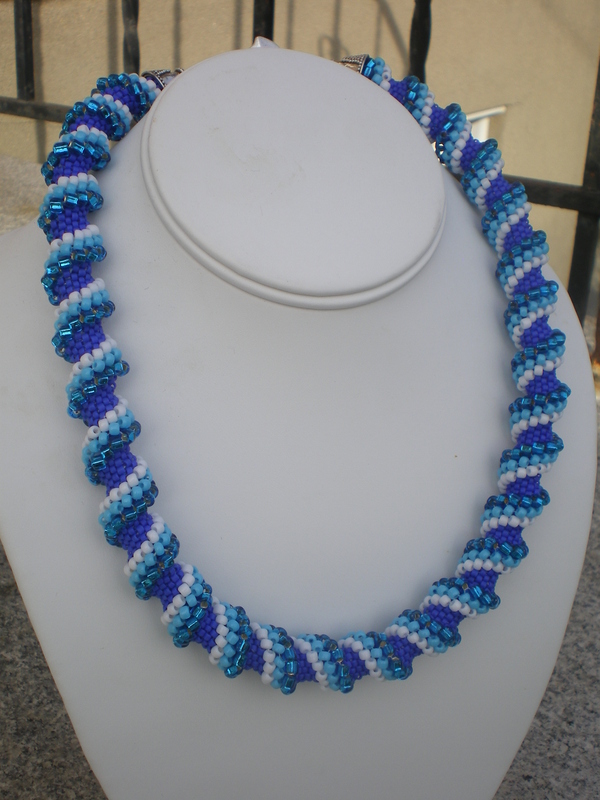 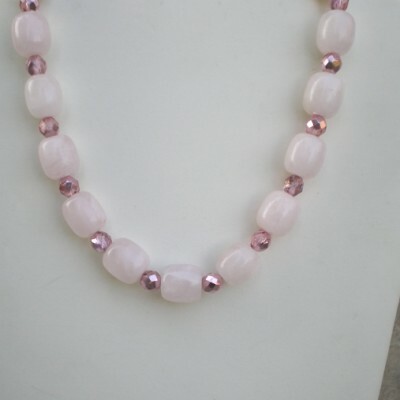 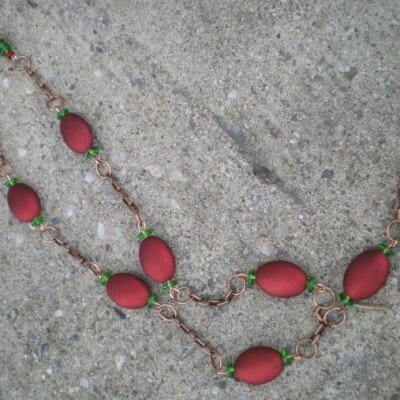 19″ Long beadwoven necklace. 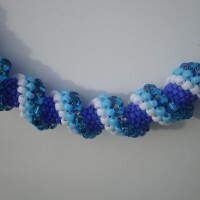 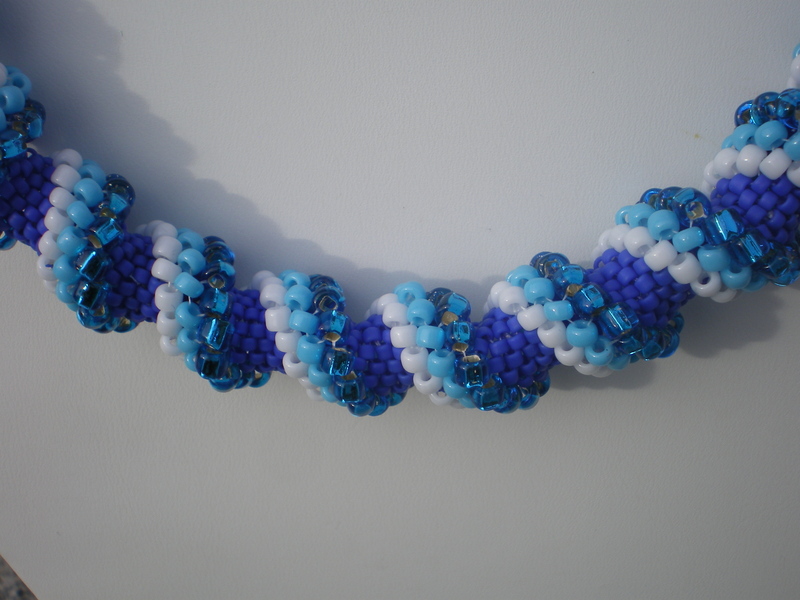 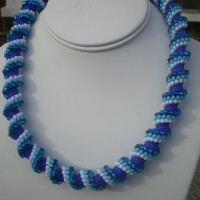 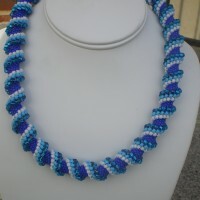 Made with different size seed beads in aqua, turquoise, white, and cobalt blue. 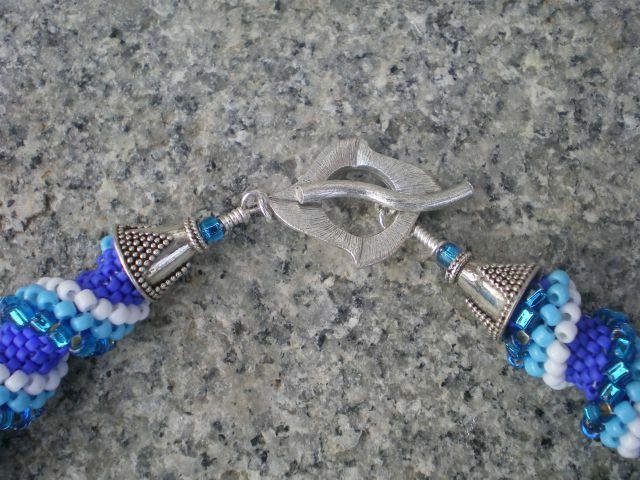 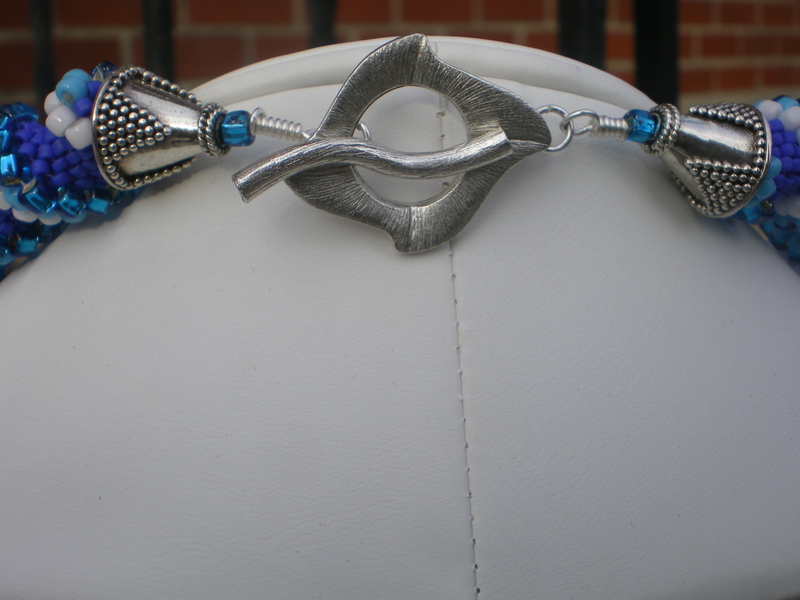 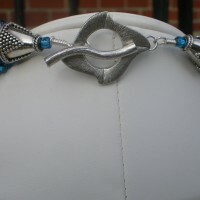 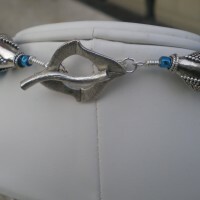 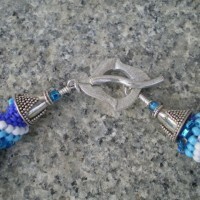 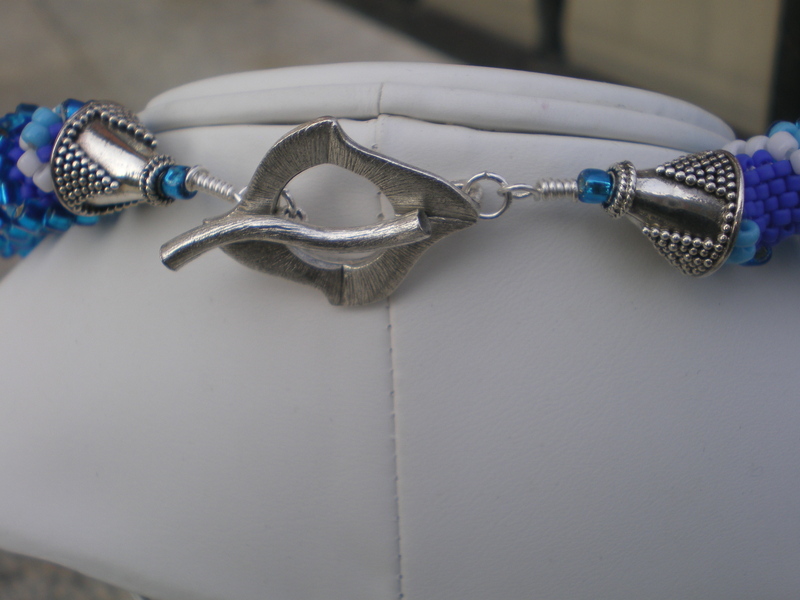 Decorative bali sterling silver bead caps and silver wavy toggle clasp. 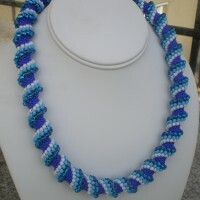 Be the first to review “Blue And White Spiral Beaded Necklace” Click here to cancel reply.